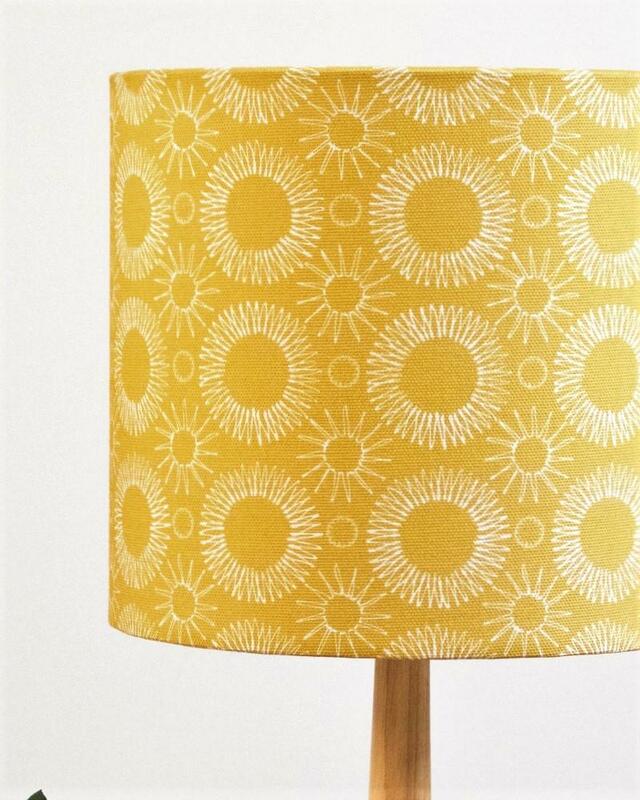 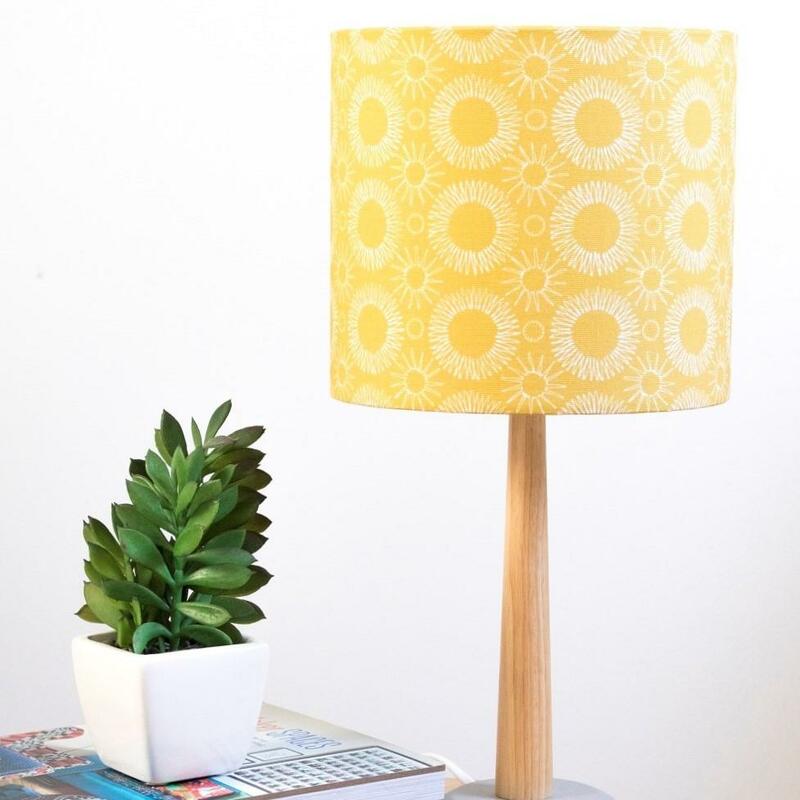 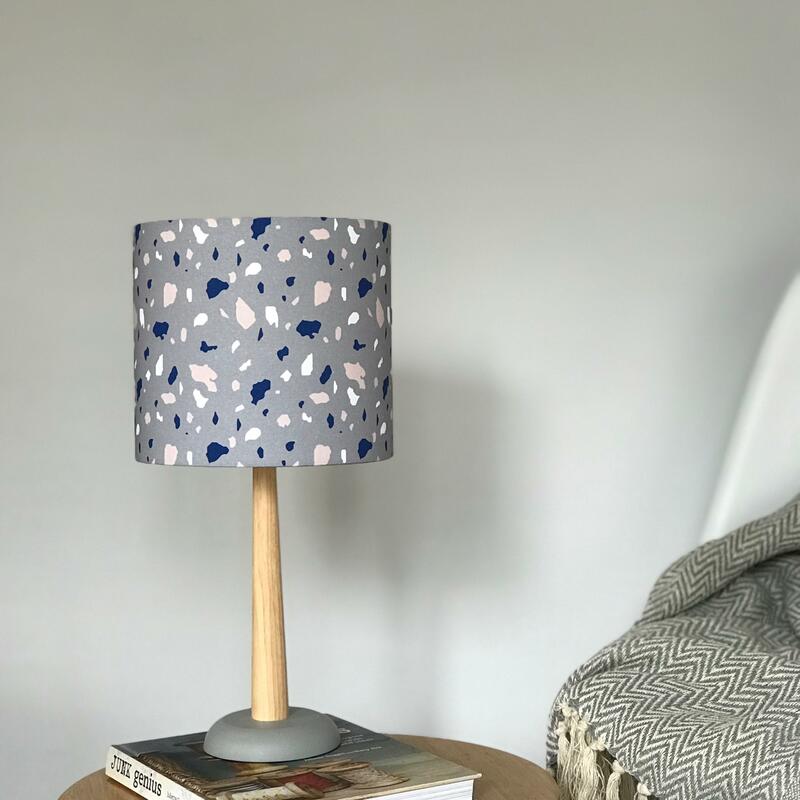 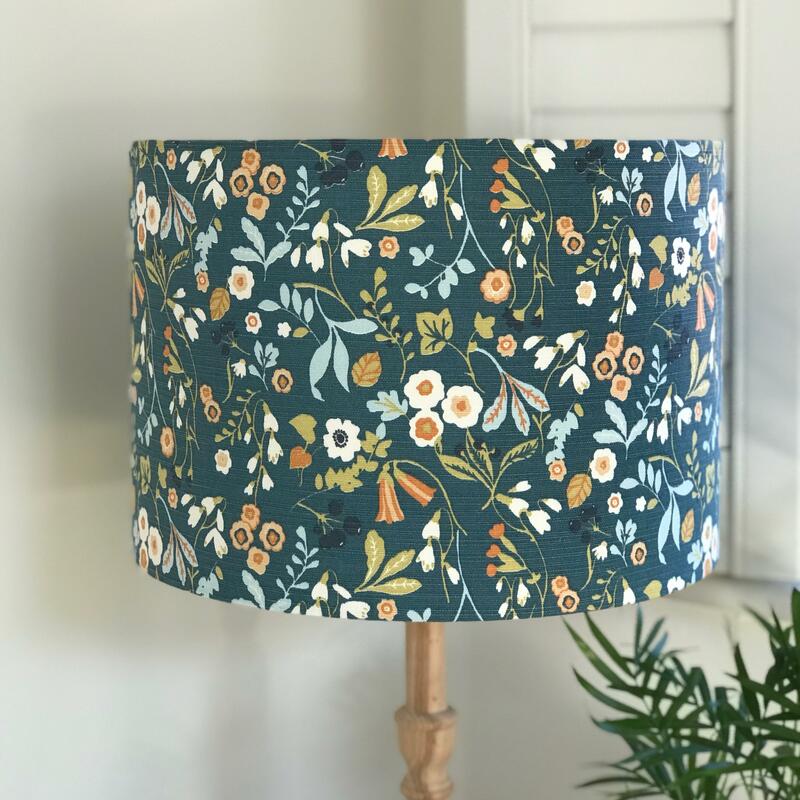 This contemporary mustard floral lampshade is printed with our original aster flower print and adds a splash of colour to your home. 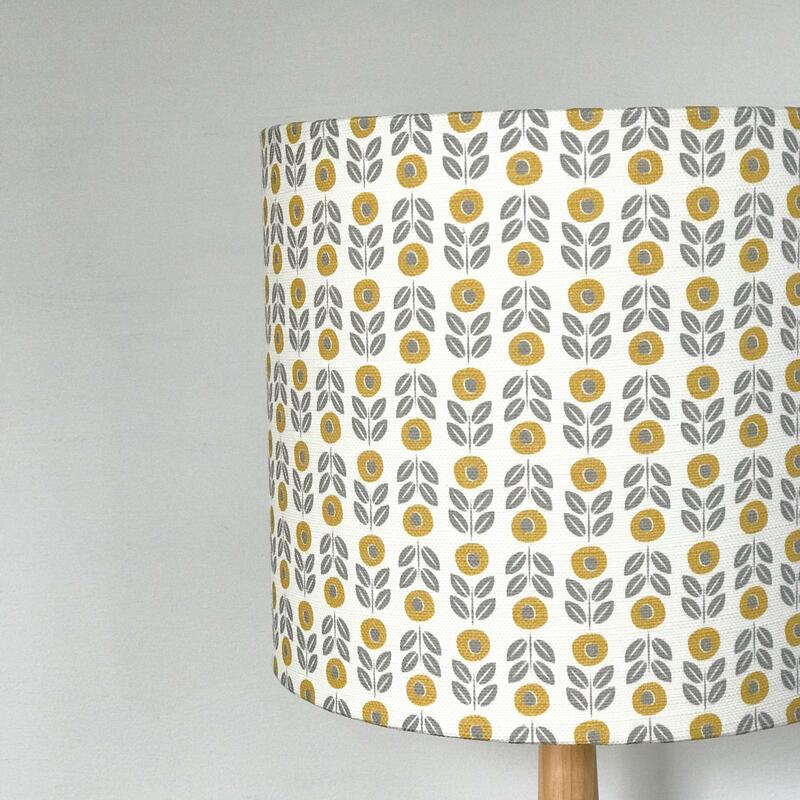 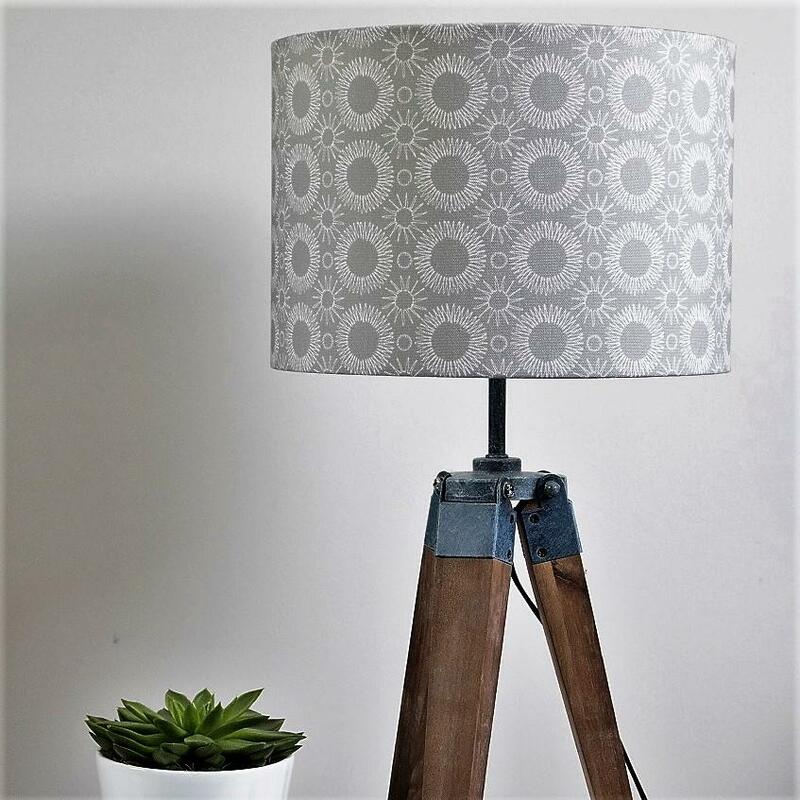 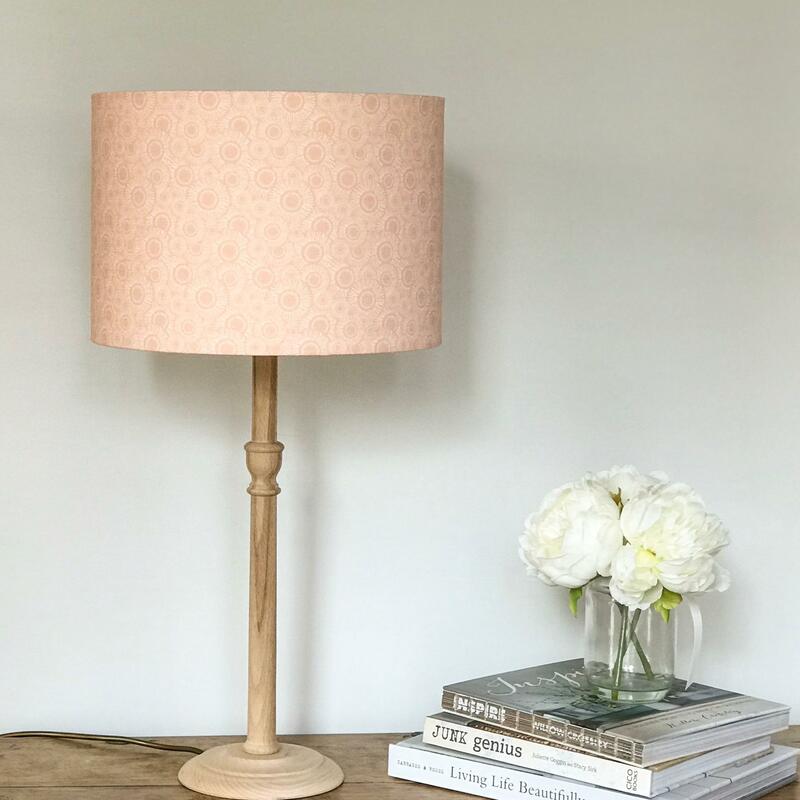 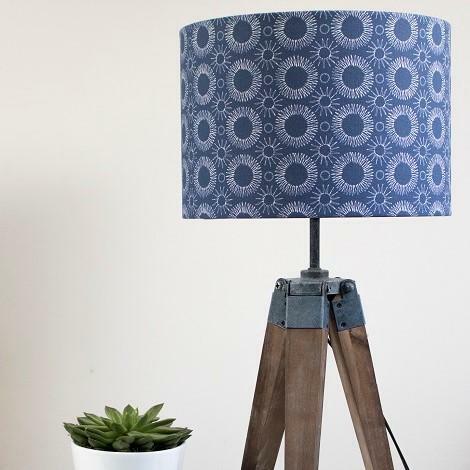 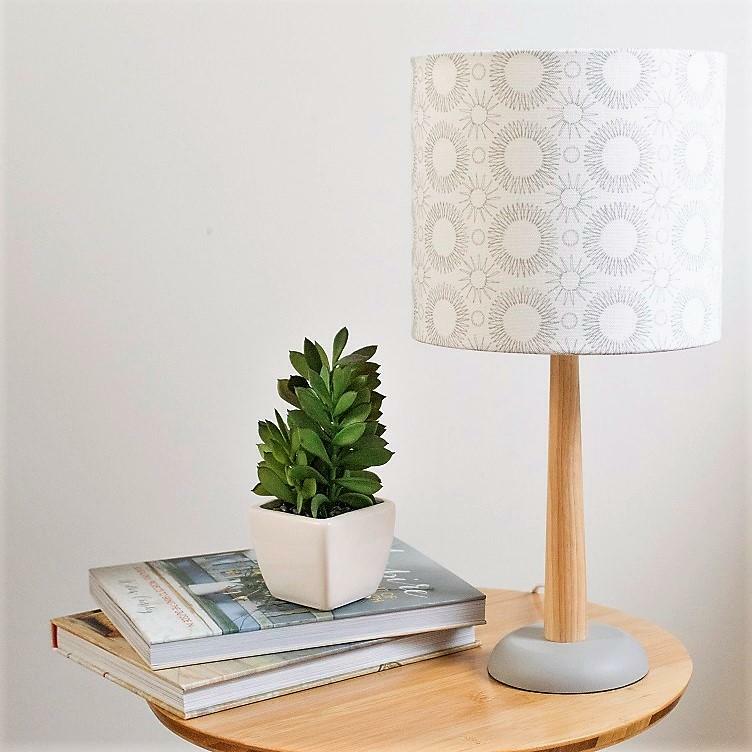 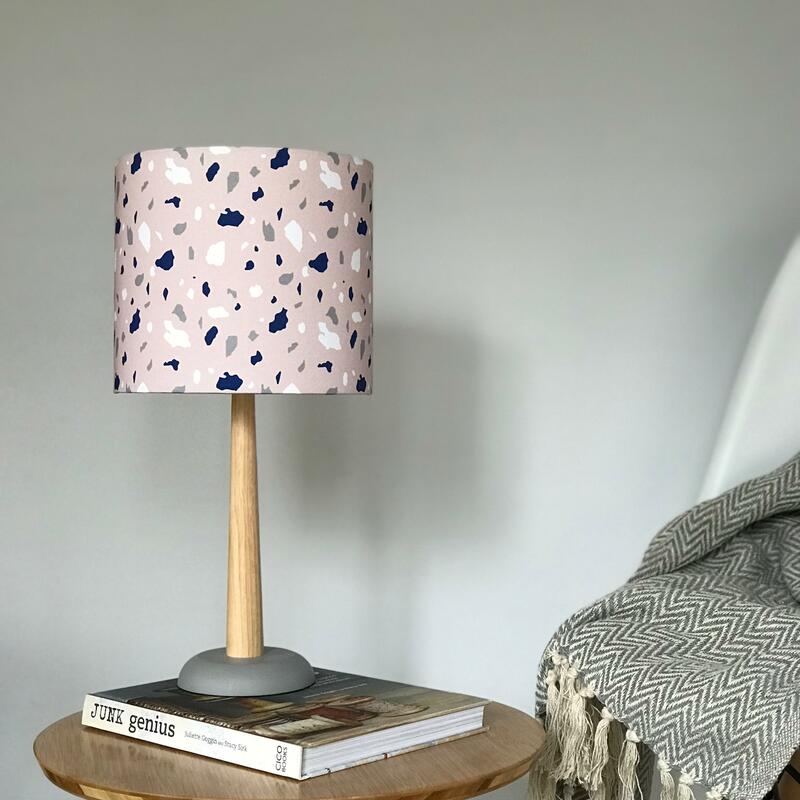 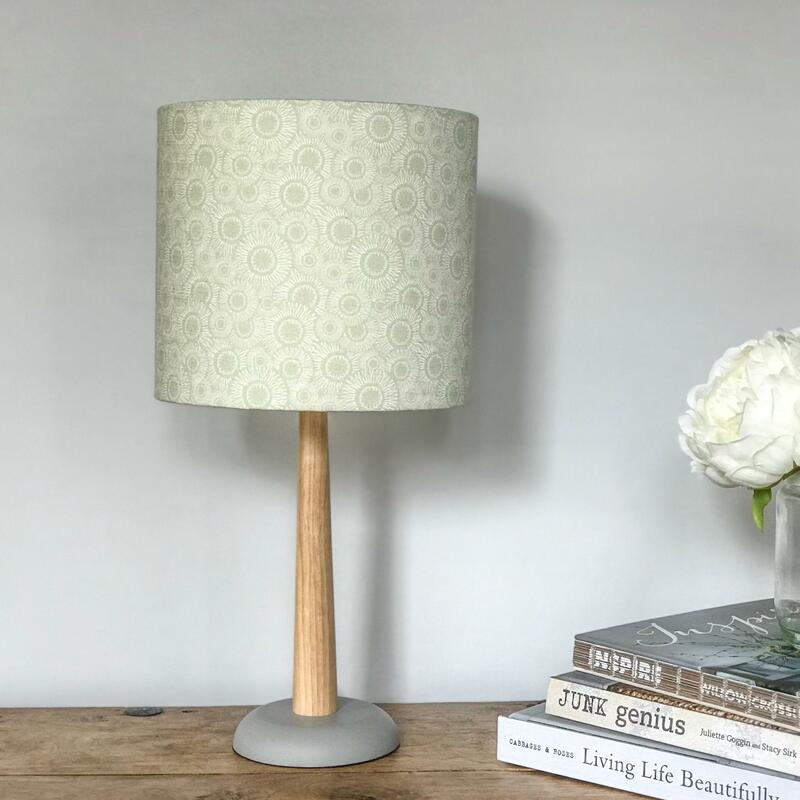 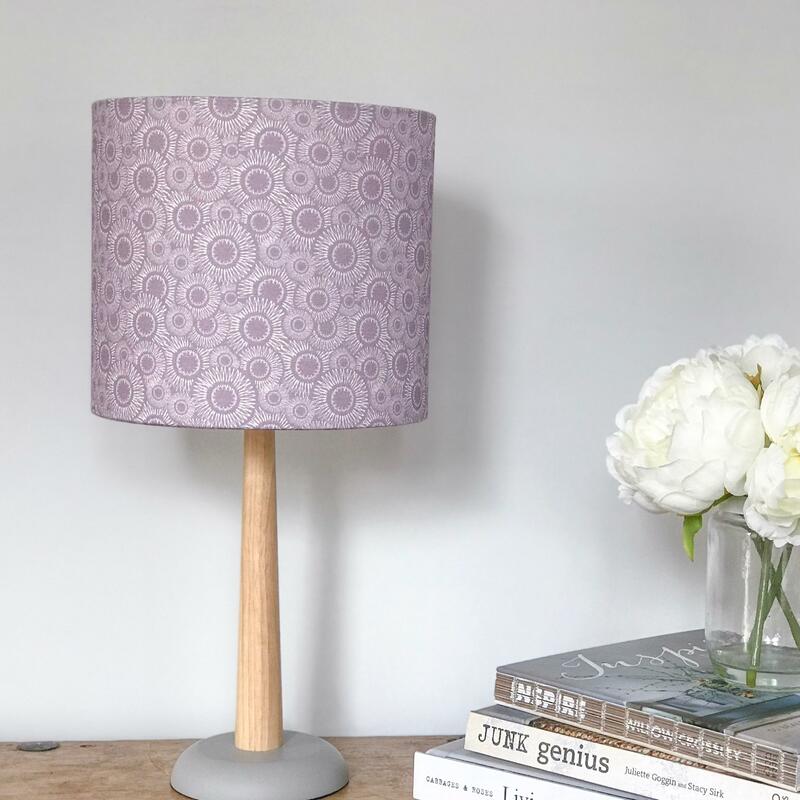 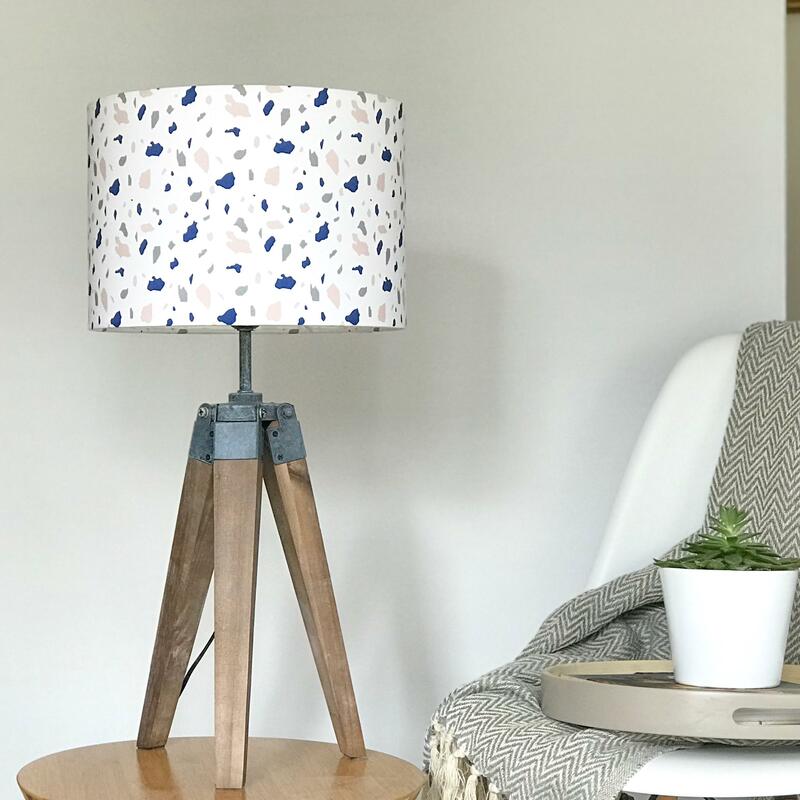 Our stylish drum shaped lampshade features an original retro-style print, created by us here in our countryside studio. 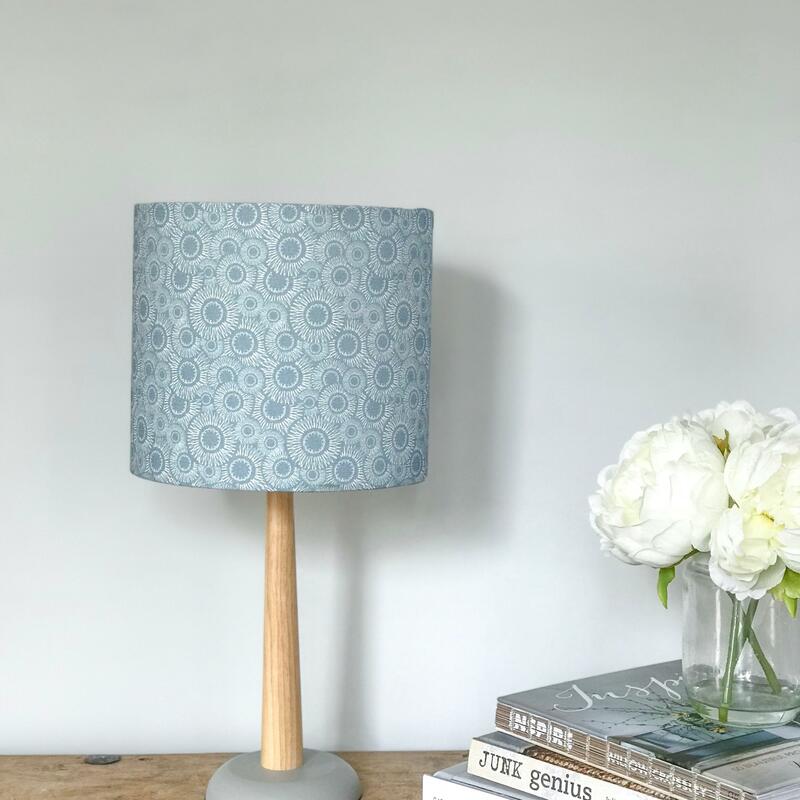 Our medium weight half panama cotton is on a PVC base which is UV stable and flame retardant, engineered for lampshade making and has passed the glow wire test carried out by the lighting association.